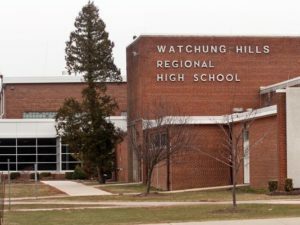 Watchung Hills Regional High School in Somerset County’s Warren Township–one of New Jersey’s academically strongest public high schools–is embroiled in an extensive student cheating scandal that could involve, according to one teacher, “hundreds” of students who obtained testing and other materials from a website and elsewhere. “Corrupt students…trade tests,” said another. “There is a culture of low integrity and cheating,” another school employee said. 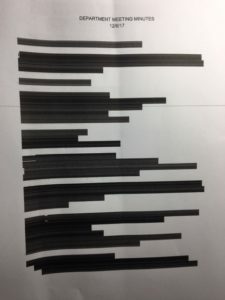 The comments from teachers were contained in the minutes of a recent meeting held at the high school which takes students from Warren Twp., Watchung, Green Brook in Somerset County and Long Hill in Morris County. The document was obtained through a request filed under the Open Public Records Act (OPRA). No teacher or student was identified. The OPRA request was filed after Elizabeth Jewett, the superintendent of the district that contains only a high school on a sprawling 80-acre suburban campus, refused to provide details of the apparently widespread cheating at the school despite repeated requests. Jewett conceded instances of “academic dishonesty” have occurred at the 2,200-student school but refused to provide details–including how many students were involved, how the cheating occurred, and what, if any, disciplinary action was taken against those selling or trading in the materials. Some sources have told Bob Braun’s Ledger that no action has been taken in response to the cheating. The teachers complained that students involved have not been held accountable–and the parents of the students involved were not even notified. “Administration has to be held accountable for students cheating,” a teacher said at the meeting. Jewett also has been inconsistent in emailed exchanges with Bob Braun’s Ledger–sometimes admitting that cheating of some sort occurred but then, at other times, qualifying the instances of “academic dishonesty” with the word “alleged”–as if she had not decided whether the incidents occurred–and also, at least once, denying any cheating at all happened. Her administration, however, has begun what she called a “review” of the district’s anti-cheating –“academic integrity”–policies and the district was the scene of faculty and other meetings at which school employees expressed concern and frustration over the failure of the administration to act. 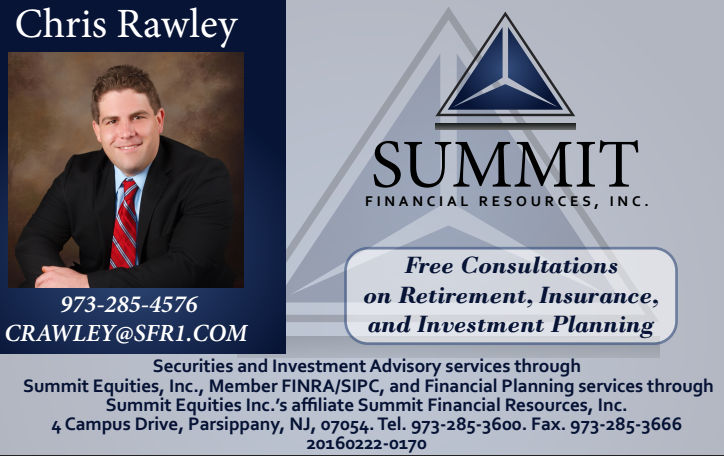 Some teachers said they were not supported by school administrators. While the comments from teachers demonstrate widespread concern about incidents of cheating at Watchung Hills, the records obtained through OPRA–many of which are heavily redacted–primarily show that Jewett either was not committing much of what she knew about the scandal to writing or was not releasing all relevant documents. In person conversations, of course, are not written–and therefore not subject to the Open Public Records Act. If Alexis and Jewett spoke on the phone, there is no record of the conversation. If there was an email exchange, it was not released as required by OPRA. Jewett also discussed the scandal–over a weekend–with Roger Jinks, the Somerset County schools superintendent. While she denounces questions about the cheating–“I don’t consider this respectable journalism,” she wrote–Jewett’s emails do not admit or deny to Jinks whether there had, in fact, been a cheating scandal–and Jinks, apparently, isn’t interested in finding out. Jinks agrees with Jewett about this site, Bob Braun’s Ledger: “So, his blog is nothing more than a tool to spread rumors with no regard for accuracy? Very disappointing.” He offered no examples of how this blog could have spread rumors when nothing was published hereabout the cheating until this article was posted today, Jan. 30. Their concern appeared to be more about public reaction than the “culture of cheating” at the school. “This is a tough one as it’s sensitive in nature,” she writes–and Jinks offers the assistance of the state education department’s public relations personnel to help her through; she accepts the offer. This site first learned about the cheating scandal from emailed, anonymous sources who expressed concern and then recalled that Watchung Hills became the focus of international attention three years ago involving the so-called PARCC tests–standardized tests required by the state. Jewett discovered that the British publishing firm Pearson–the publisher of PARCC tests–had been spying on students’ emails looking for cheating during test-taking periods in 2015. Bob Braun’s Ledger broke the story. 1) Was there a “cheating scheme”—or acts of “academic dishonesty”—involving students at WHHS? 2) If so, how many students were involved? Again, I am not asking you to reveal identities of students. 4) You already have said it involved “classroom” materials, not standardized tests. What sort of materials? 5) How did it come to light? 6) Were students involved in the scheme punished? How? How many? 7) Beyond what you have sent me already, has there been any public acknowledgement of what happened? 8) Is it true that parents of the students involved were not informed? If that is true, why not? 9) One of my readers sent me an email in which the writer suggested the students involved in this recent case of academic dishonesty also were involved in the incidents that led to the revelation that Pearson was spying on the emails of students at WHHS who were then sitting for the PARCC tests. Is that true?